"Borgun payment gateway" module for CS-Cart allows to accept credit and debit card payments via Borgun Iceland Secure Payment. 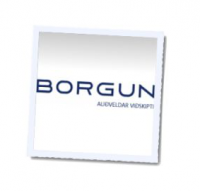 Borgun is a leader in payment solutions in Iceland and one of the largest credit cards issuers. Borgun payment gateway module for CS-Cart is developed according to the documentation that you can view in Downloads tab. The module implements only basic integration and doesn't include recurring billing and refund process. You need to have a Borgun.is account. 1. Download the archive with the "Borgun payment gateway" files.